Elder Loder is a great companion, we get along really good. I took this photo while we were contacting by a lake, and we met a guy shortly afterwards who is a fly fisherman who wants to meet with us. We taught an investigator this week named Gregory, sadly he wouldn’t take the Book of Mormon. 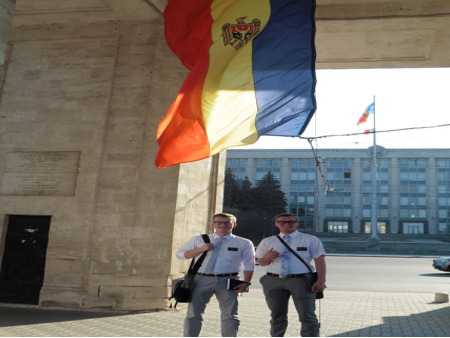 We are still contacting for people who want to hear our message, and people in Chisinau are willing to talk more than people in Balti. It’s weird!